Buffalo check 1-2, 1-2. I told y'all I would be musing over something on Tuesday. Those damn buffalo checks are rocking my socks off as of late. I adore when they come out tonight, tomorrow night and frankly any night. I love the super traditional, classic and almost rustic feel they can bring to any space and of course for the sole purpose of being juxtaposed with an entirely different style in my case. I love to mix it up. I know I talk about this time and time again, but that is how an eclectic and collected space is made. Many genres, sometimes contrasting, old and new and in this case traditional mixed with modern elements. This is a timeless, unisex, multi genre fabric and I am going to show you I am so jazzed over this fabric. My heart went into temporary cardiac arrest when I saw this space. Dramatic? Look at the mix of color and the mix of styles. If you don't find this space to be fabulous I am not sure I want to know you. I have said my piece. Fabulous office space that is definitely eclectic and collected and traditionalized by the hanging antler crest and none other than our serious buffalo check. I am telling you. It ties everything together. Gives it a purpose. It makes sense. This girl loves me some turquoise. You feel? 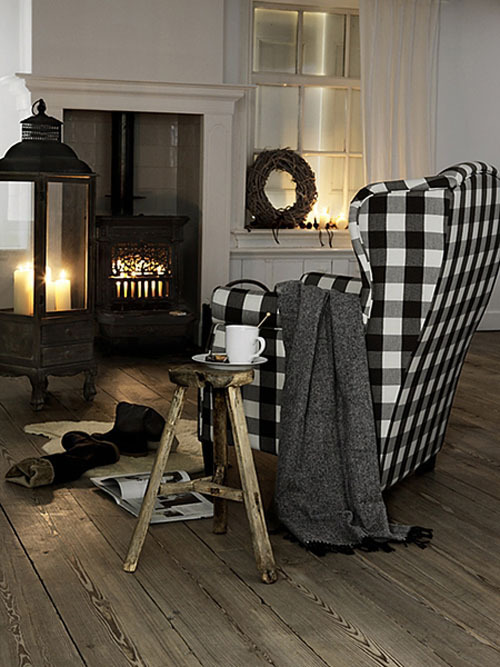 Fabulous floor length buffalo checks to finish off a cozy reading nook. It is the perfect pattern to pair with the brocade backed cabinet. Larvely. Ooooh a space for all of you traditional, rustics out there. What an adorable addition of buffalo check to this fab little space. 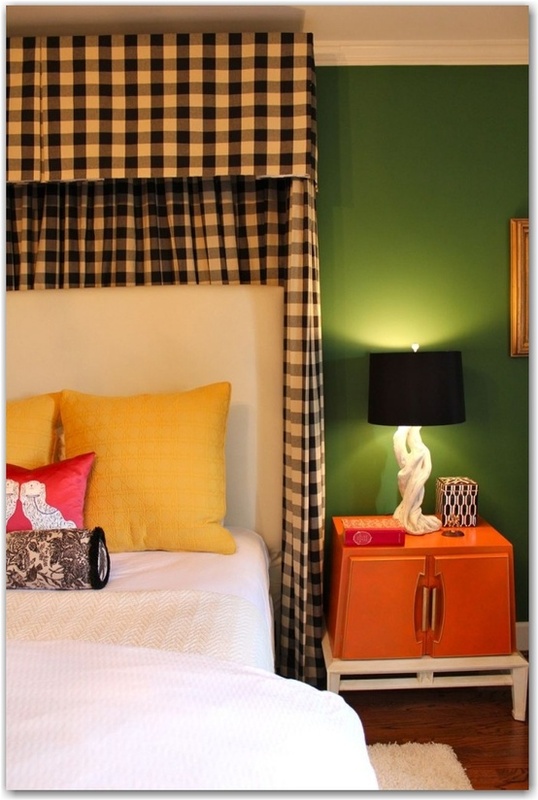 I can't deny that I am totally digging the kelly green lamp shade. I mean, how can one resist? This one cannot. Another uber traditional space and another space I am uber in love with. 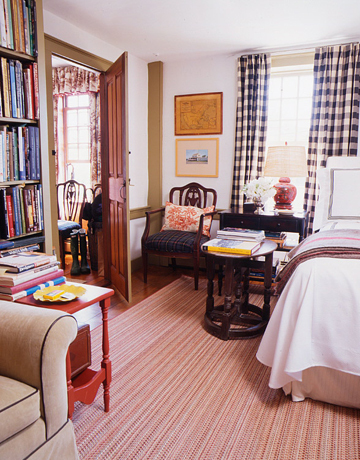 Lovely buffalo check window treatments flank this scholarly and homey space. Doesn't it look like a Harvard professor resides here on the weekends? I am so glad we agree. Serene and calming use of neutral buffalo checks. I am telling you, these things are perfect for a subtle use of pattern. Cozy, cozy, cozy space. I totally want to roast some chestnuts on that open fire. Who is with me? That is not near in my future since we are still combating 80+ degree temps here in Richmond. Hello. Are you there October? It is me Lindsay and I want to lounge in this space. Thanksfornothing. Ahhhhh. Presh, presh little girls nursery. Who is dying over that chair? And the pink, velvet, tufted ottoman. Is it wrong that I want that and to make a home for it in our home? I do not think so. Love the couch flanking Abe's. Love. 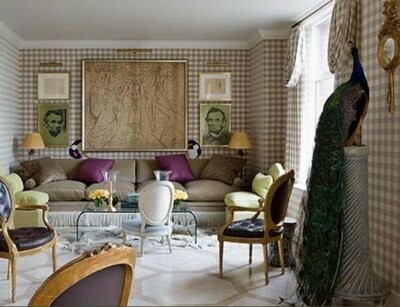 This is a fabulous space mixed with such crazy elements and it works. 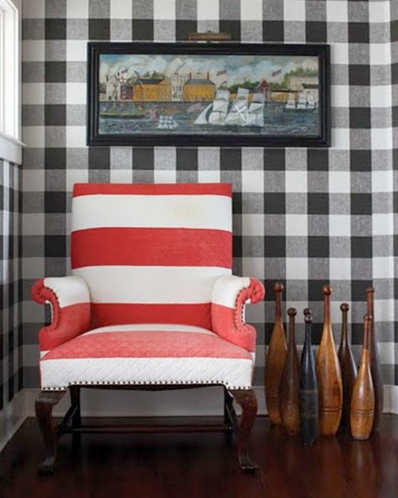 Buffalo check wallpaper and matching draperies to boot. Buffalo check on a stripe. What is not to love? So dish. Tell me everything. Are you as obsessed as I am? 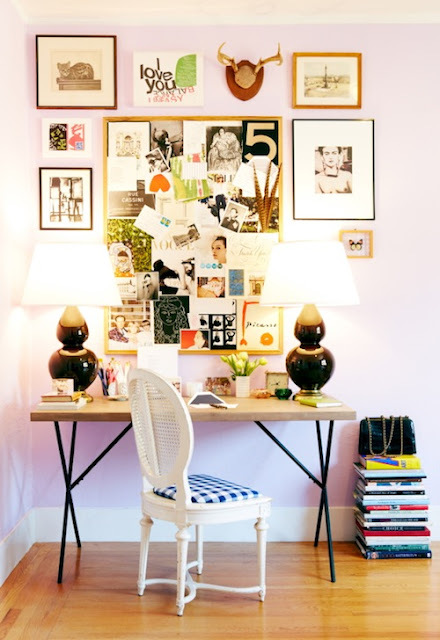 Are you thinking of ways you can incorporate it into the design in your own spaces? I mean a pillow, plates, rugs, window treatments. Check, check and check. The possibilities are endless. Loves! If these images don't make my heart sing in the morning, nothing will. I want the wallpaper. I am equally obsessed! Love that nursery! I love that they turn the space into pure coziness. I love that they are coming back in style, or at least are being used more often. I think I need some in my house. I love how it ups the preppy factor. The strange part is that I never give it a second look when I am hunting for fabric. I really want it on chairs. I love that first room. I've been obsessed with a red buffalo check duvets I saw on a blog last week on the twin beds in her daughters room. It's a special thing they pull out for Christmas and call it their Christmas room. I'm totally doing this! I am right on top of this buffalo check trend. I am waiting on RH to have a sale on their Windsor bedding for my little ones big boy room! Can I just tell you how much I love buffalo checks? Funny have a post next week on them that I have been working on.....they are fabulous,timeless and fresh. You picked some real winners! I've never considered buffalo checks before, I think you've convinced me to reconsider! Love it on chairs and the wallpaper is pretty awesome! I'm reupholstering some dining room chairs for a client in navy buffalo check. I kinda want to keep them for myself! I love buffalo check. I want clothes and drapes and everything else in it! Oh, I saw black and tan yesterday, I just stood there and stared! Love those combos! Gorgeous images to start the day off with! The rooms- swoon! We are so on the same page lately! I love all of your inspiration. I like it best as wallpaper! Pull the trigger. Trust me!!! You will not regret it. 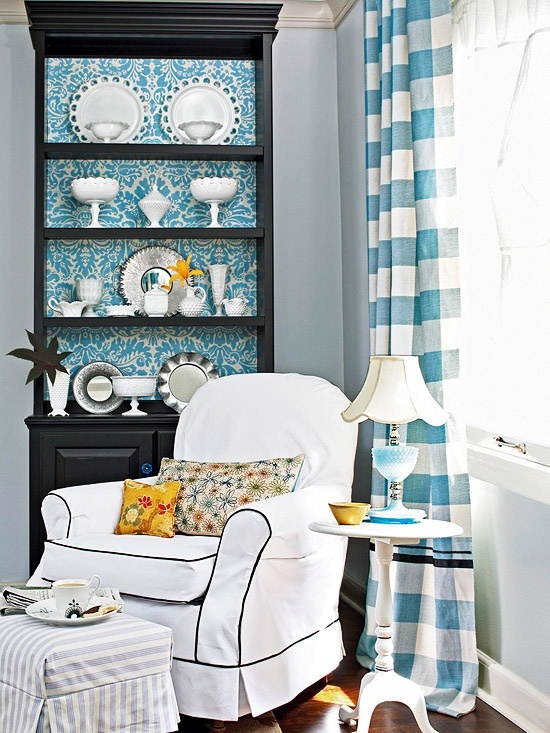 There is nothing grandmaish when paired with modern finishings. Listen to me gurlll! I'm glad I'm not the only one with a thing for Buffalo Checks. I made some lovely silk navy buffalo check curtains for my kitchen years ago. I moved them to my living room for preservation (they were right next to the table and kept getting milk spilled on them). Now I am thinking of moving them to my dining room (which is chocolate brown - just really loving brown/navy lately). They totally change the look of each room they are in. Contemplating the buffalo check wallpaper in my son's room. Now I just have to convince the hubs....and my son. Think it'll work? 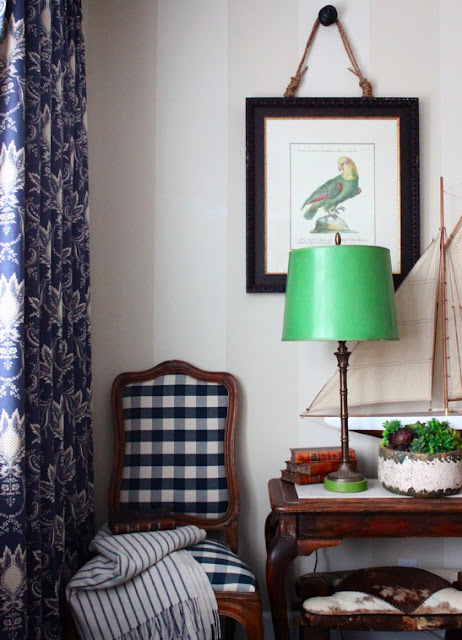 That first room is TDF and I love that nursery- I'm pretty sure I pinned because I could not get over the buffalo check on the glider. I'm personally a huge fan of the buffalo check! I do love buffalo checks! This images really do make BCs look fantastic! Good pull! Yes! Love it but I am especially loving it on the chair in the black and white! My mom had buffalo check couches and chairs and wallpaper and just about everything else in our house growing up! She was obviously WAY ahead of her time with style! Love this look! ooooohhh! I love the black/white chair with the fireplace. The drapes are awesome too! I am a fan. The first curtains I made were with this check... Did not realize they had a name... Buffalo Check, so thanks for the education! I am with you... they are awesome.... Can be a little on the traditional side, but I think if balanced with other more modern elements, like in that first bedroom, perfection! Great post! would love for you to come visit me!! ooo LOVE the buffalo check! Heaven! 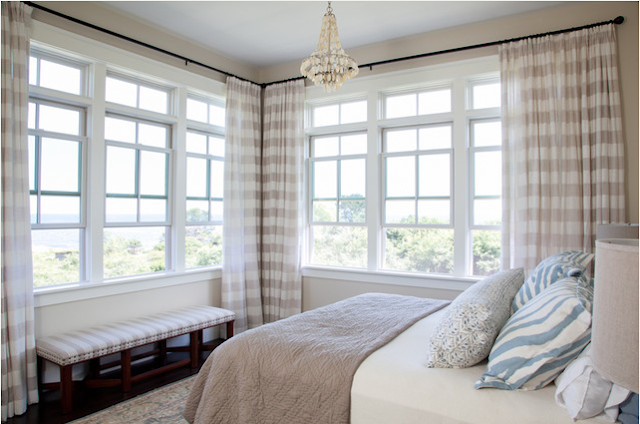 I love the look of the oversized gingham print on curtains -- it becomes almost graphic instead of traditional. Wow these designs really blow the way you work-hard. These trends of decor and interior design are so there. Like that blog.